Originally from a small village near Stirling in Scotland, Stef studied Drama and Theatre Arts (with a specialism in directing) at Queen Margaret University in Edinburgh. Stef has worked as both an individual artist and with other theatre makers. Her work is predominately political seeking to unearth unheard stories and it always aims to examine both the lightness and darkness of life. Stef loves traveling and in the past few years she has traveled to Australia, Brazil, Canada, Germany, India, Korea, Mexico, Turkey and the USA for her work. 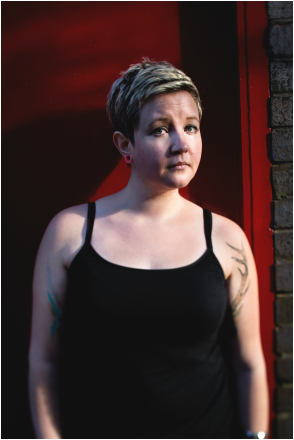 Stef has also led creative writing groups for young people in India, ran writing workshops in Brazil and given lectures at Glasgow University. Most notably in 2012 Stef won an Olivier for the show RoadKill. In 2013 she was invited for a residency to the Banff Centre in Alberta, Canada.. She also appeared on The Lists Top 100 Cutural Contributors for 2015 and was named by the Independent as a part of a 'new generation of British playwrights who will dominate 2017'. Stef is also an Associate Artist at the Traverse Theatre in Edinburgh and at Leeds Playhouse.